Mexico and Wales played a semi-entertaining friendly in Los Angeles. With a slew of players missing, the game left little to take away. Many inside the Rose Bowl will be left disappointed that Mexico was unable to break the deadlock to beat a young Wales team. Throughout the game though, Mexico showed their higher quality and created enough chances to get a goal but was unable to get the goal that would make the majority of the 80,000 fans happy. Here are the takeaways from the match. 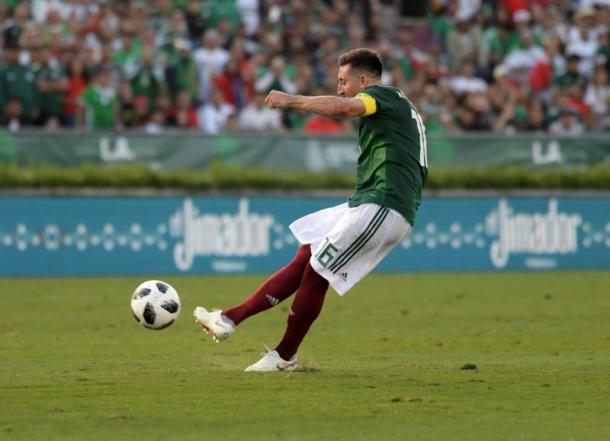 Entering the match yesterday, Mexico were already without Nestor Araujo, who will miss the World Cup altogether, Andres Guardado, Hector Moreno, Diego Reyes, because of injuries, Rafa Marquez for legal reasons, Alfredo Talavera and Miguel Layun who were just coming back from their week-long FIFA mandated vacation. This left Juan Carlos Osorio without a complete team to prep for, and Osorio probably couldn’t wait to leave Los Angeles and return to Mexico. 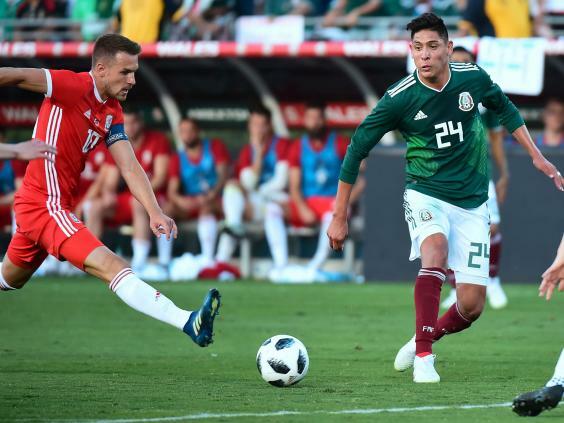 This week he will finally have most of the team with him and with just under three weeks until Mexico kicks off the tournament Mexico can buckle down this week before their match against Scotland in Mexico. With a team that won’t be anything close to what Mexico will start in the World Cup, with only Hector Herrera and Javier Hernandez the only two players that look to be set to start the opener against Germany. 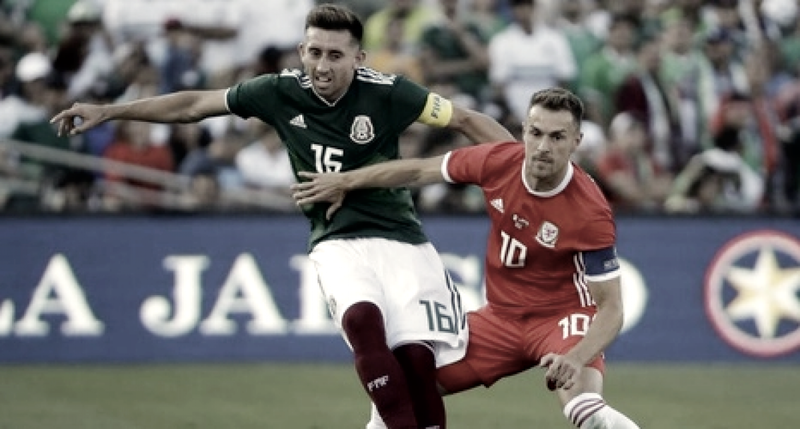 Herrera was the driving force for Mexico against Wales, which is the type of performance fans wanted to see from the man captaining Mexico for the match. Jesus Corona was his daring and darting self on the wing for Mexico. After coming off a subpar season for Porto, it was great to see Corona on the ball and taking players off the dribble. On his day, Corona has the on-ball skill to take defenders on, something few other Mexican players possess. The young Alvarez made a case to be included in Russia. Oswaldo Alanis, Hugo Ayala, Edson Alvarez, Jesus Molina, and Erik Gutierrez were all given the start against Wales. All five players are on the borderline of making the Mexican roster for the summer. After a shaky start, both Ayala and Alanis had solid matches with Ayala playing the whole 90 minutes. Molina showed his value as a defensive midfielder, while he did not have much to do, he won balls in the air and was solid for the 45 minutes he was on the field. Alvarez might have been the best of the bunch as he showed the ability to play multiple positions and why he can be valuable to Mexico. Gutierrez struggled to shine next to Herrera but worked on to try and show his playmaking ability. Was constantly looking for the ball to make something. Lastly, Jurgen Damm came in at halftime and really struggled to make an impact, with his speed quickly neutralized and had trouble coming up with a plan B when on the ball. Damm currently looks to be on the outside looking in if he hopes to make the Russia squad. Mexico is set to play Scotland on June 2nd, with their final roster announcement set for June 3rd.